The GT Academy has become a major player in the Nissan Le Mans story. 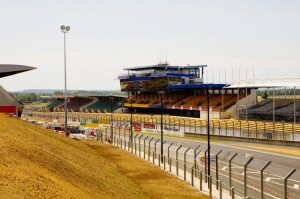 The Le Mans, the oldest sports car race in endurance racing, has been held each year since 1923. Lucas Ordonez, winner of the first GT academy competition in 2008, also took a podium finish in the 2011 race. That year, Nissan invited 12 of the finalists in the Le Mans from the 2011 GT Academy competition to show them where the victory could take them. One of the finalists, Jann Mardenborough, won the GT academy and now this year is back at Le Mans to race. Mardenbourough completed his first year of racing in the British GT championship, racing the Nissan GT-R. At the end of his first year, he was awarded Rising Star status from the British Racing Driver’s club. After such success, it was no surprise when at the beginning of this year, Jann announced he would compete at this year’s Le Man’s race. After a test day, all fifteen of the Nissan cars will compete in the Le Mans in a few days time, ready for the challenges that await them.